Contribute to a strong, supportive learning community across the diversity of the workforce. Inspire-music focuses on sharing experience underpinned by evidence. It is designed to be a peer-learning resource that presents real-life examples of practice that is working well, as measured by positive impact on children and young people. It shares the key principles that underpin that effective practice, so that others may be inspired and encouraged to develop these in their own work. Explore case studies drawn from a wide range of contexts, including school classrooms, early years settings and community locations. 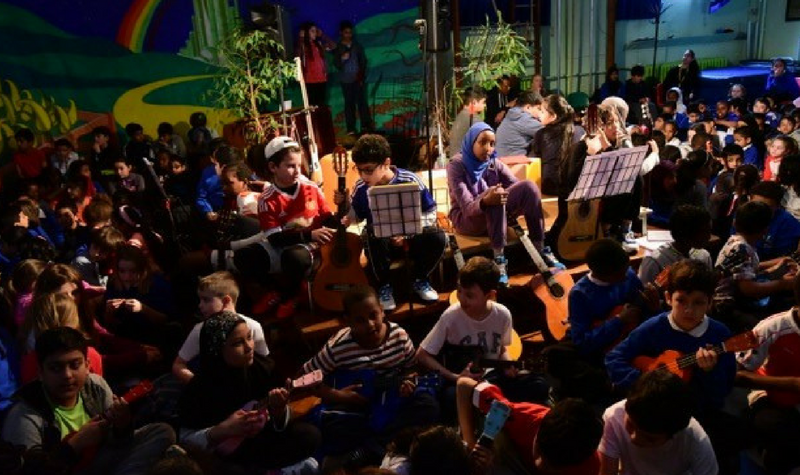 A place for everyone involved in music education – school based, community based, formal, informal, non-formal - to be curious, to be inspired and to think about what really works. Inspire-music has been created by a National Working Group chaired by Professor Graham Welch, supported by Programme Director Katherine Zeserson, and funded by the Paul Hamlyn Foundation.